Africa has a significant burden of childhood disease and a shortage of skilled healthcare professionals. The World Health Organisation (WHO) estimates that children in low- or middle-income countries are 16 times more likely to die before five years of age compared to children in high-income countries. Almost half of the burden of childhood deaths within these lower-resourced nations occur in Africa. In addition, many children who survive serious illness suffer long-term complications, creating a continuing demand for healthcare. The UNDG’s 2014 progress report on Africa identifies a severe shortage of trained healthcare professionals as one of the most significant barriers to the achievement of targets for improving child and maternal health. 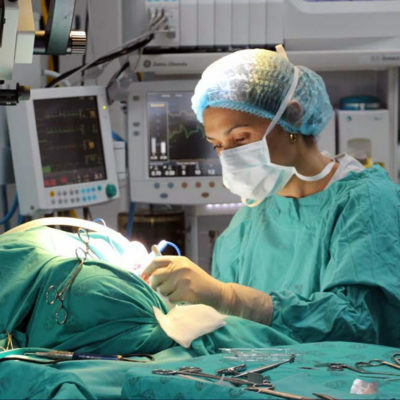 For the African region as a whole, the WHO has calculated an average 11.7 nurses per 10,000 people, compared to around 100 per 10,000 in Europe. 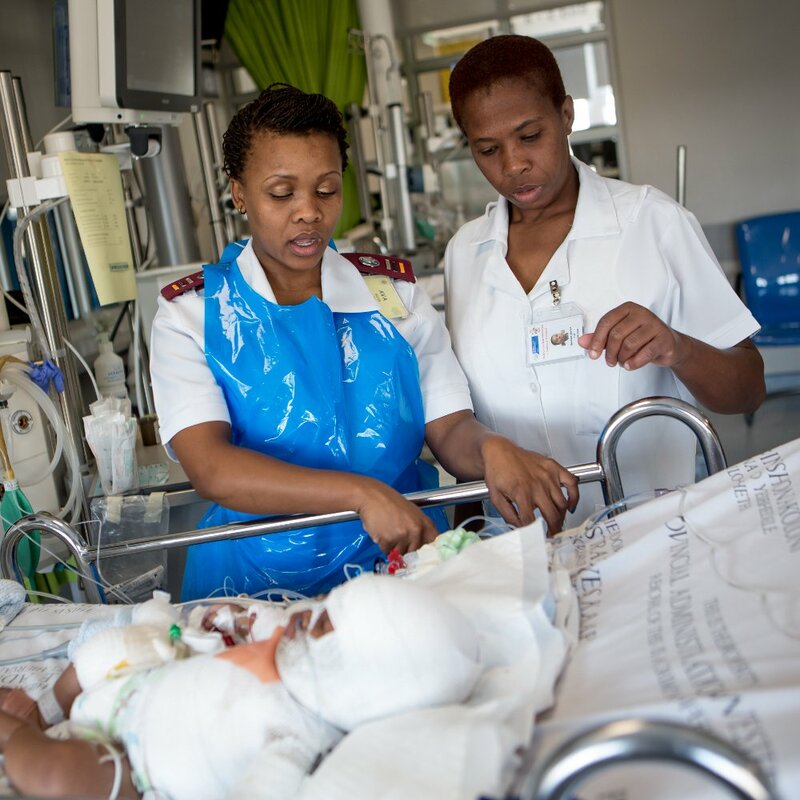 Currently, only 2% of registered nurses in South Africa are trained as specialist paediatric nurses with the skills and knowledge needed to improve outcomes for acutely ill infants and children. Whilst public health interventions are needed to improve child mortality, 10-20% of children are still too sick to be managed at clinic level and will be transferred to secondary or tertiary care. This is where trained paediatric nurses with the knowledge and skills to provide the best care can make a significant difference to child health outcomes. 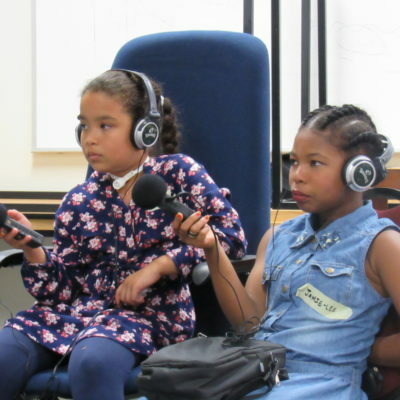 Having stepped up to the challenge of this human resource crisis in 2008, the Child Nurse Practice Development Initiative at the University of Cape Town is now the main training hub for children’s nursing on the African continent. Since 2008, a total of 228 nurses have graduated from its courses, all of whom have returned to work in their home provinces or countries, many going on to lead important development in child health systems and services throughout Africa. In addition to training children’s nurses at its base at the Red Cross Children’s Hospital, the programme has facilitated the establishment of in-country training capacity in three other African countries (Kenya, Malawi and Zambia), and is working to establish additional training hubs across Africa. Africa has a significant burden of childhood disease and a shortage of skilled healthcare professionals. The World Health Organisation (WHO) estimates that children in low or middle income countries are 16 times more likely to die before 5 years of age compared to children in high-income countries. Almost half of the burden of childhood deaths within these lower-resourced nations occur in Africa. 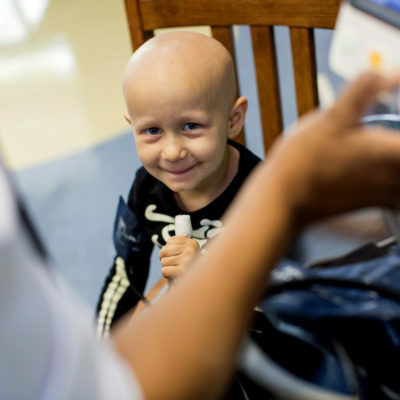 In addition, many children who survive serious illness suffer long-term complications, creating a continuing demand for healthcare. Whilst public health interventions are needed to improve child mortality, 10-20% of children are still too sick to be managed at clinic level and will be transferred to secondary or tertiary care. 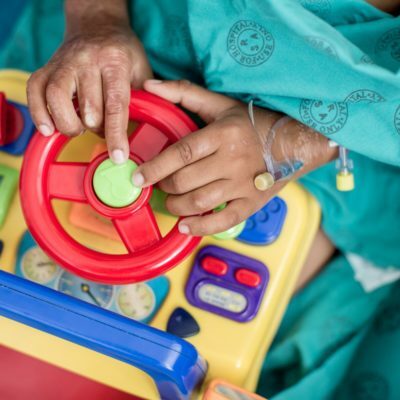 This is where trained paediatric nurses with the knowledge and skills to provide best care can make a significant difference to child health outcomes. 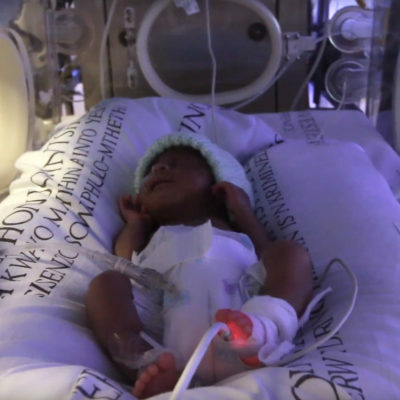 Having stepped up to the challenge of this human resource crisis in 2008, the Child Nurse Practice Development Initiative at the University of Cape Town is now the main training hub for children’s nursing on the African continent. 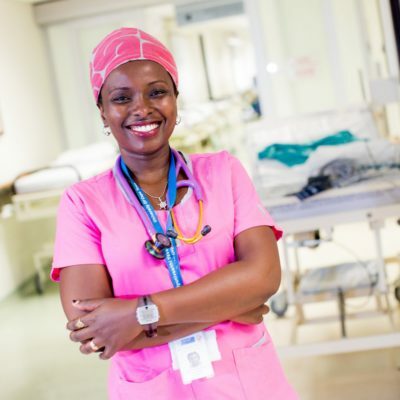 Since 2008, a total of 228 nurses have graduated from its courses, all of whom have returned to work in their home provinces or countries, many going on to lead important development in child health systems and services throughout Africa. 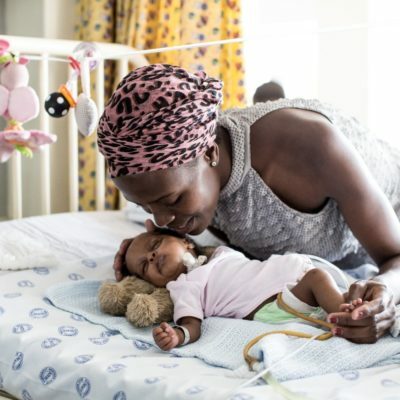 In addition to training children’s nurses at its base at the Red Cross Children’s Hospital, the programme has facilitated the establishment of in-country training capacity in 3 other African countries (Kenya, Malawi and Zambia), and is working to establish additional training hubs across Africa. The Trust has committed to raising R7.5 million for the current five-year cycle of this programme.